Following drama-ridden couple of months, Samsung heir Lee Jae-yong has been sentenced to serve five years in prison on corruption charges. The decision comes after the Samsung boss was originally detained back in February for bribery, embezzlement and hiding assets overseas. The ruling was delivered yesterday in a court in South Korea, the BBC reports. 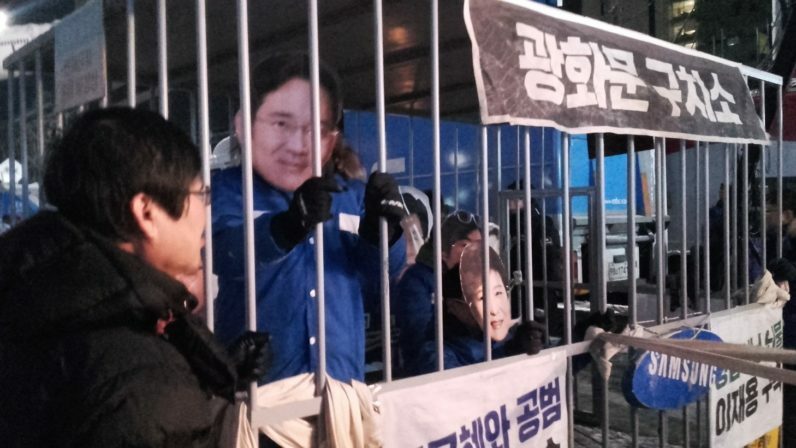 Despite denying all charges, Lee was facing up to 12 years in prison for making donations in the vicinity of $36 million to non-profit organizations operated by Choi Soon-sil, a close acquaintance of disgraced former president Park Geun-hye. In return, the Samsung boss purportedly received political favors that would help him further increase his control over the Samsung Group. Leading up to yesterday’s sentence, Park was impeached back in March. Her friend Choi, who also took part in the bribery, was sentenced to three years in jail for corruption earlier in June. The 49-year-old heir first took over as the head of Samsung back in 2014, after his father, Lee Kun-hee, suffered a heart attack. One thing to point out is that, although official, the decision is not yet final. Lee’s legal team has already indicated they are prepping to appeal the ruling at a higher instance. “We are confident the ruling will be overturned,” lawyer Song Wu-cheo told Reuters.